 have enough supplies for a minimum of 7 days up to an entire month for all family members, including pets?  know how to turn off the gas?  know how to turn off the power?  know how to apply first aid?  have enough water for all of yourfamily and your pets?  have provisions for living outside your home for a length of time if the structure is compromised?  know how to survive? Well, it’s like paying for car insurance. You might never need it, in fact you hope you won’t. You will receive 17-1/2 hours of initial training by LAFD personnel. 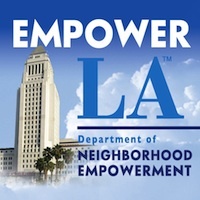 It is provided free of charge within the city of Los Angeles to anyone 18 or over. If you miss a session, you can make it up at another CERT class. how to protect your family (and your neighbors) in an emergency! WILL NOT COME! They will be deployed FIRST to major incidents such as collapsed buildings. That is why you constantly hear that you MUST be prepared to take care of yourself. without needing aid from outside sources. 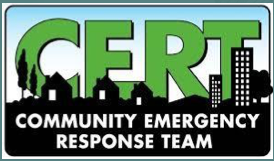 To schedule a CERT class or other type of training, you can do the following: Click on this link: COMMUNITY TRAINING REQUEST – You can also call (213) 202-3136 or send an email to lafdcert@lacity.org.